Snorkeling expedition with Striped Marlin in BCS, Mexico. Great encounters with pelagic animals in open ocean. Off the coast of the Southern Baja Peninsula in Mexico, a rare event takes place. 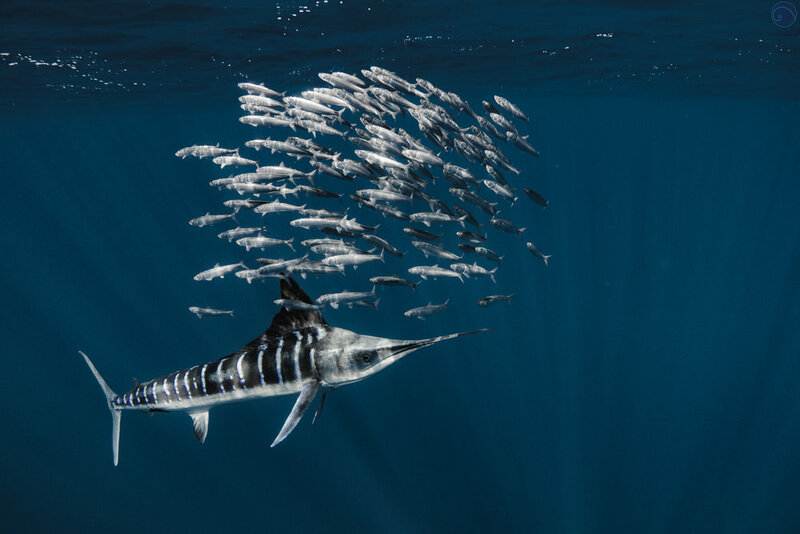 Thousands of Striped Marlins aggregate in search of their next meal. This is a rich pelagic area, where you can find different species throughout the year. Rarely visited by divers until a few years ago, this is a good place to see sharks, bait balls, bill fish and other species. Anything can happen in this pelagic playground. This is a remote area still not very popular to divers with fantastic opportunities for pelagic encounters.